16 oz of your choice of vegetables. I used frozen carrots and peas and frozen broccoli. It amounts to about 3 cups frozen vegetables. 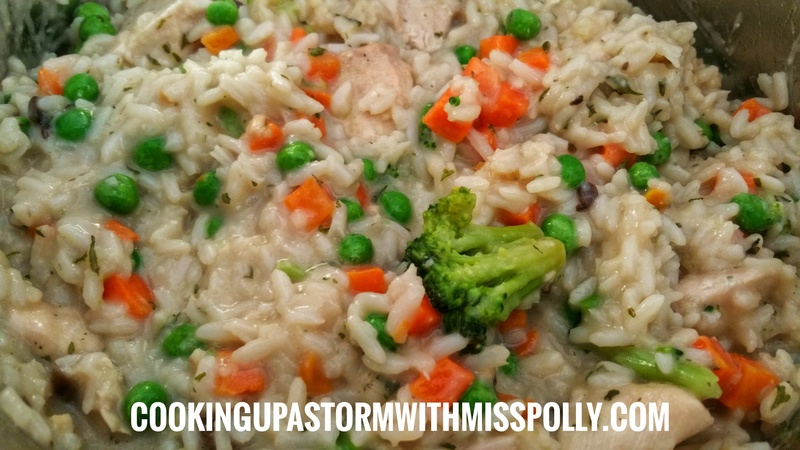 Combine all the ingredients in the slow cooker except the chicken and frozen veggies. 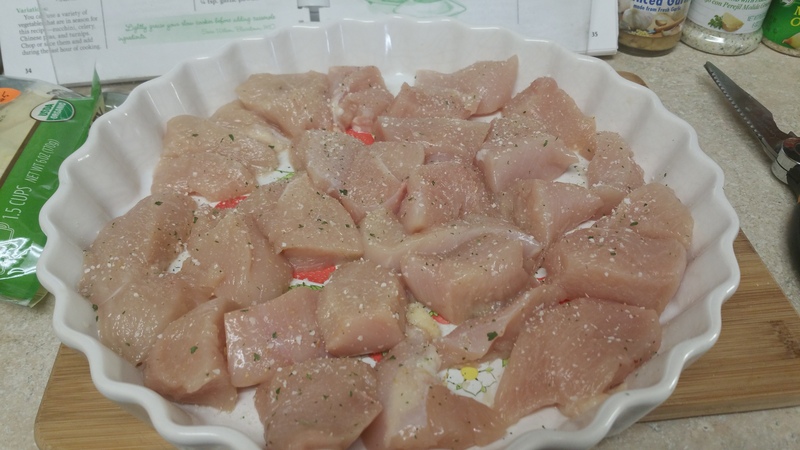 You’ll want to cook the chicken chuncks till they are almost done before you add them to the Crock-Pot or your Multi Cooker set on Crock-Pot function like I did in this recipe. 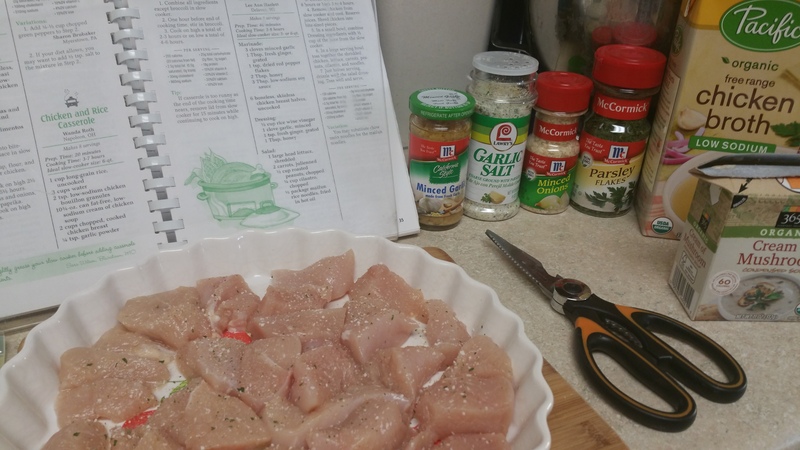 I cooked the chicken in my microwave, checking every minute and I put some Schilling Garlic Salt that was just opened and very fresh and the aroma was awesome- even though I normally refrain from using garlic powder. 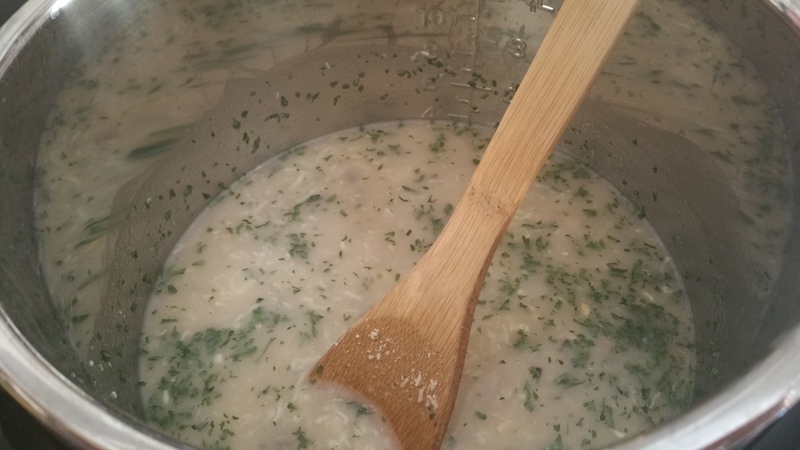 It’s a great thing to have in your kitchen to add the subtle flavor of garlic with a little bit of salt and parsley. You want to cook two to three hours on high or 4 to 6 hours on low temperature. 1 hour before it’s done you’ll want to add your vegetables, whichever once you decide to use. Now you can vary the sauce that you use in this possibly marinara sauce and they can Italian version. You can change the vegetables you use. I cut up the chicken with my kitchen shears made by a brand called Yummy. I got them on Amazon. The low sodium chicken broth I used was made by Pacific. I made fancy recipes and ones that were way more involved with us that I was cleaning up the kitchen for hours and this one I enjoyed so much and it really didn’t take much Hands-On work and it gave me some nice leftovers that I can have for a couple days. This recipe serves 8. The prep time is about 20 minutes the cooking time is 3 to 7 hours to fitting on your slow cooker or your multi-cooker. The ideal slow cooker size is 6 quart the one that I have. 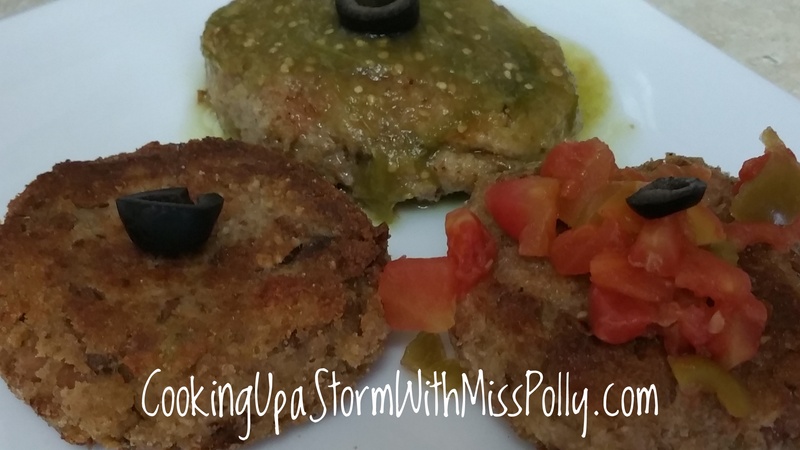 Hope you enjoy this recipe as much as I have enjoyed this recipe and I will definitely make this again. I have a paperclip in the book so I can open it up to this page easily. Shredded mozzarella, between 1/4 cup + 1/2 cup, depending on how rich you want your meatloaf. You can also sub in cheddar cheese if you like. Applegate turkey bacon, 5 slices browned in a skillet with a little water- it keeps the turkey bacon tender and also ensures that nothing will stick to your pan. Mrs. Dash Italian salt free seasoning, to taste. Paul Newman’s Garlic Basil Marinara, or your own homemade marinara sauce or whatever brand you want. You can also use plain tomato puree here and then season it accordingly. About 1/4 cup added to the meatloaf mixture in 1/4 cup added to the top of the cooked meatloaf before serving. 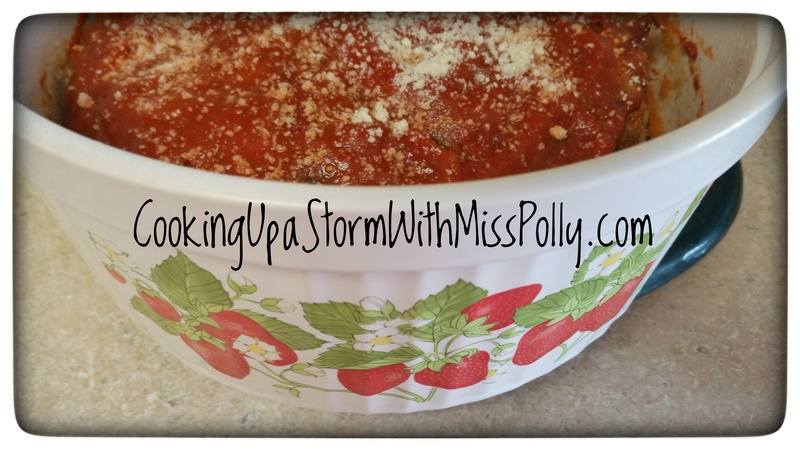 You’ll need a medium size microwavable casserole dish, preferably stoneware or Pyrex. KitchenAid mixer, or heavy duty mixer or a really sturdy wooden spoon to start with. 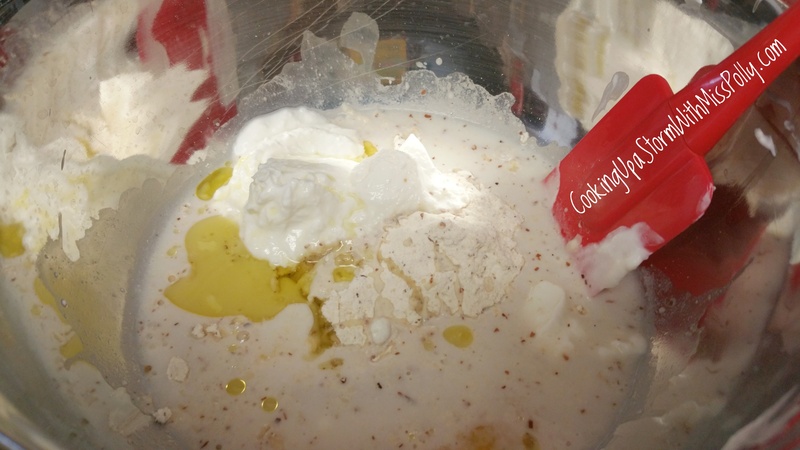 Simply mix all the ingredients well together, either by a mixer or by hand with a large heavy wooden spoon or steel spoon with a spatula on the end of it. It makes it easy to scrape it out of the bowl and form into whatever receptacle you want to make it in.. 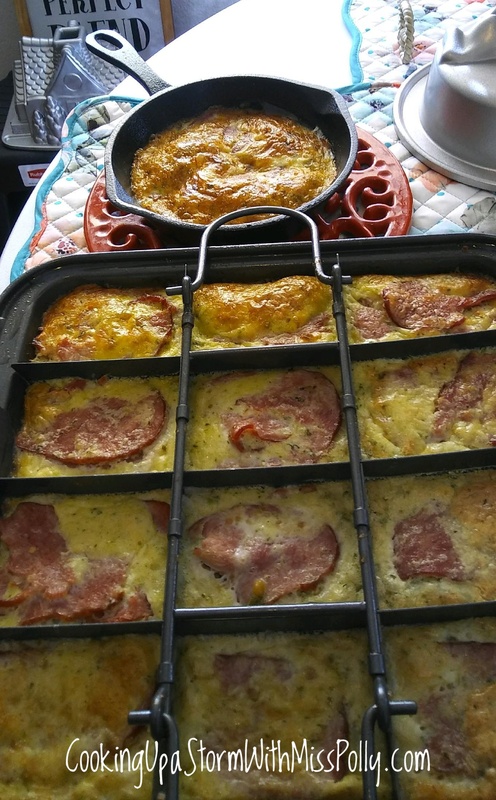 I like a large casserole dish or a round souffle Dish as I used in this recipe that’s microwavable. 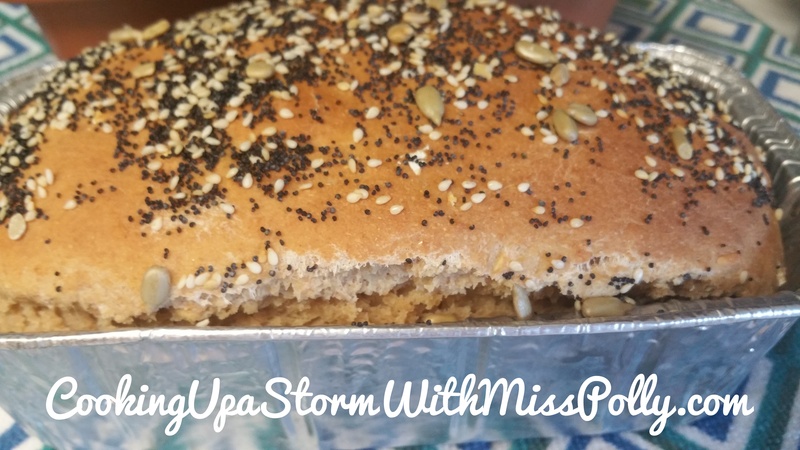 You can also make this in a standard loaf pan, if desired. Bake on high in your microwave for 10 to 15 minutes, until a digital thermometer registers at 150 degrees Fahrenheit. I would suggest checking it at 10 minutes cooking time, and then see how it’s doing, testing with a digital instant read thermometer. If it hasn’t reached 150 degrees simply just cook a little more. The temperature test never fails. For turkey it is 150 degrees. 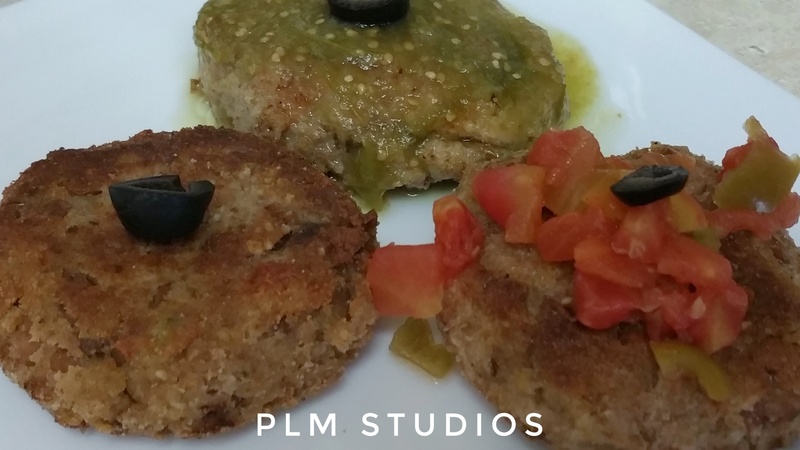 Recipe and all images photographed and created by Paulette L. Motzko. Simply mix all the ingredients together until well blended. I use a good quality spatula to scrape the bottom of the bowl and make sure all the dry ingredients are incorporated with a mixture. 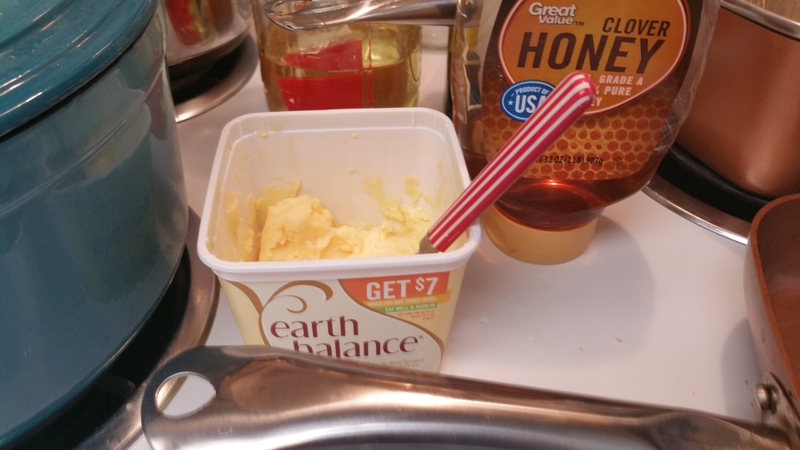 After making sure the ingredients are well Blended, take a stainless steel ice cream scoop and scoop out just that amount of pancake batter into a non-stick greased skillet. I brushed mine with a little bit of extra virgin olive oil with a silicone basting brush. Heat your skillet on medium-high heat, but don’t let it smoke. 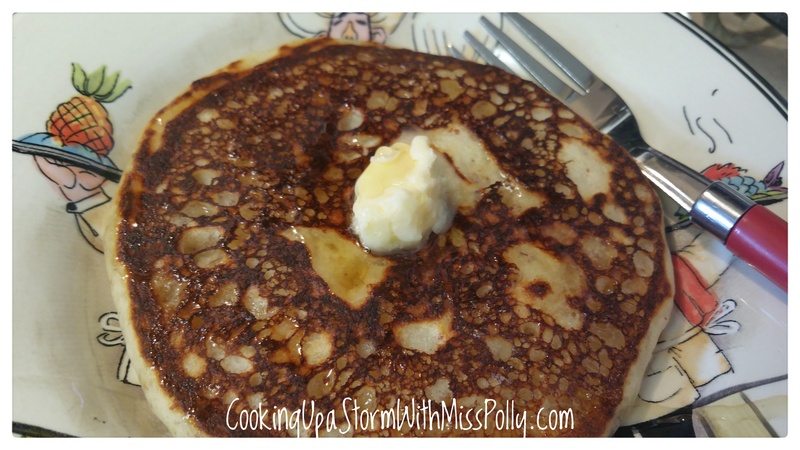 Cook your pancakes until bubbles form on the top of the pancake, and the bottom of the pancake is nicely Brown. Flip over cook for a few more seconds and then serve with your choice of margarine, butter. I like to use the vegan butter spread shown in the picture. You can drizzle with a little bit of pure maple syrup or honey. And, if you like, you can sprinkle with a little bit of ground cinnamon and confectioners sugar. You can also add your favorite brand of protein powder to the better if you like. That will increase the protein content even further. 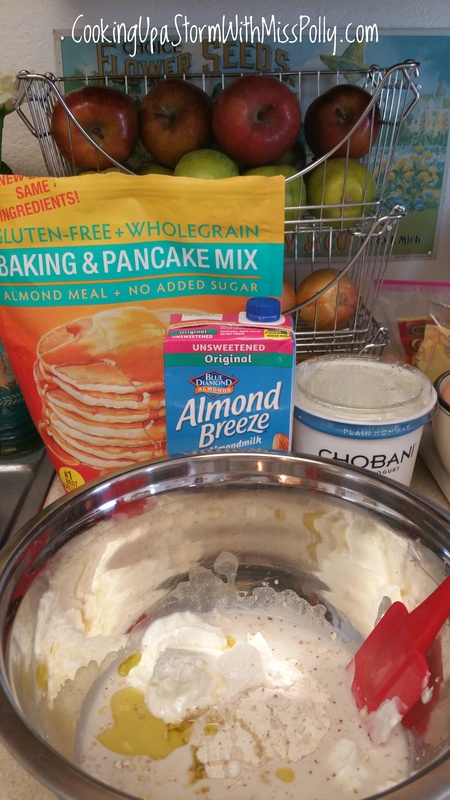 If you do that, you might have to add some extra almond milk to the batter to compensate for that.